Khao Chi Chan Buddha sculptural image was sculpted onto the cliff of Khao Chi Chan to honor His Majesty King Bhumibol on the occasion of 50th anniversary of his enthronement. The Buddha image is call Pang Man Wichai as Phrawarachabopit, which means the Buddha is the prophet who enlightens and shines like a diamond and was carved in imitation of a Buddha image of Sukhothai and Lanna style. 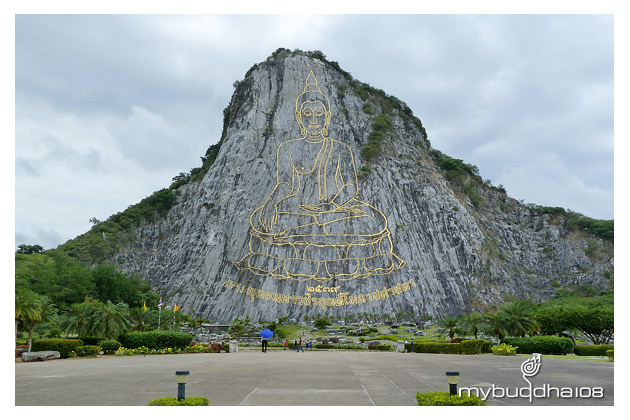 The Buddha image is 109 meters in height and 70 meters wide.